Tiered cedar platforms float within this natural woodland setting to create a harmonious outdoor living space in Craigleith, Blue Mountains. Over 1000 sq.ft. 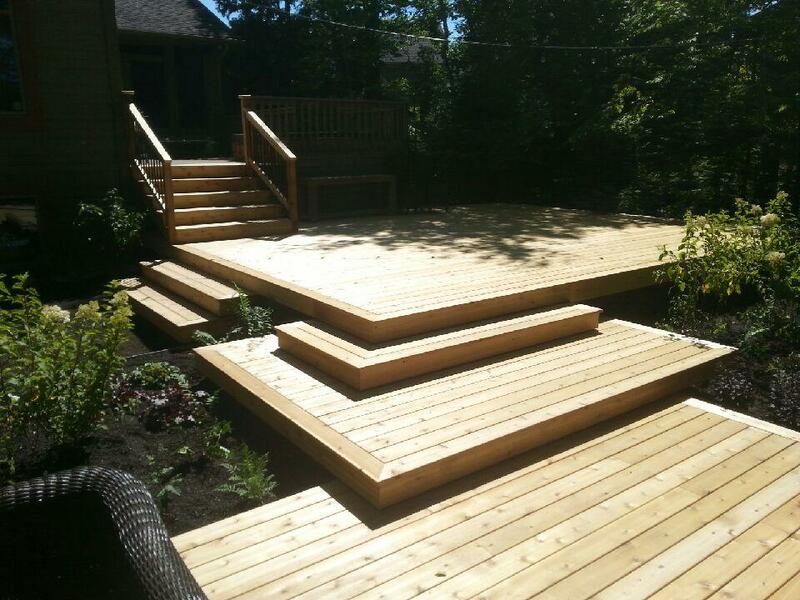 of tiered Western Red Cedar deck platforms where built using construction methods to minimize impact upon the site's existing mature trees. Working with Ryan from Arbtech Tree Care Services, and in close consultation with the homeowner, select areas of the mature canopy of Oak, Birch and Maple were opened in order to capitalize upon the natural woodland lighting. The deck platforms were designed to feel like a natural extension of the home's interior flowing out into the woods and embracing the natural character of the property. 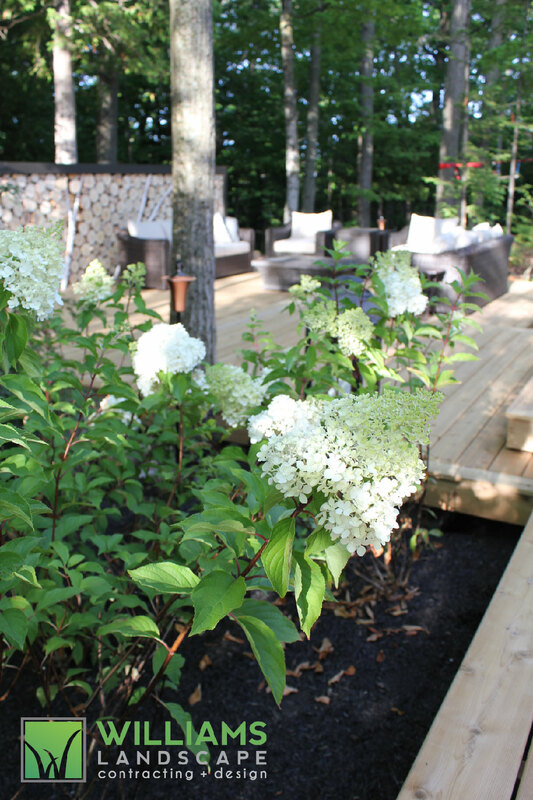 Installed using the CAMO® Hidden Fastener system, the complete absence of visible screws in the decking make this outdoor floor barefoot-friendly while showcasing the natural character of the red cedar. Using remnants of the felled trees and branches we constructed a large stacked wood wall that functions as a privacy screen and an artistic backdrop to the space. A dozen new trees were installed, predominantly shade-tolerant Eastern Hemlock, along with some White Spruce to enhance the privacy and define spatial structure. A large natural outdoor playground with zip-line, slack-line and trampoline plus an outdoor natural firepit make this a fun, enjoyable space by both day and evening. Inspired design, built for life outdoors. Williams Outdoors Inc. ©2018 - All rights reserved.